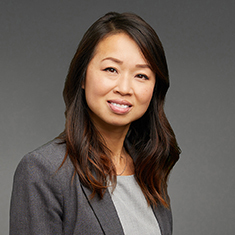 Stephanie Hor-Chen is an associate in the Insolvency and Restructuring practice. Stephanie concentrates her practice in the representation of secured and unsecured creditors, purchasers, trustees, landlords, receivers, assignees for the benefit of creditors and other constituents in out-of-court restructurings, workouts, bankruptcy reorganizations and liquidations, receivership proceedings and asset sales. While in law school, Stephanie served as an associate editor of the University of Illinois Law Review. Following graduation from law school, Stephanie was a judicial law clerk for the Honorable William V. Altenberger of the US Bankruptcy Court for the Central District of Illinois. Shown below is a selection of Stephanie’s engagements.